Yesterday's guests, like Richard Wagner and Oscar Wilde, enjoyed the same breathtaking views as today's visitors. Perched on the cliff edge of Sorrento, the inimitable Grand Hotel Excelsior Vittoria has a history full of superlatives. Owned and operated by the Fiorentino family since 1834, the property has hosted Richard Wagner and Oscar Wilde, who enjoyed the same breathtaking views of the Bay of Naples and Mount Vesuvius as today's guests. Ruins of Roman Emperor Augustus’ villa are said to lay beneath the property, and the past is also alive in such details as the 18th-century columns, frescoed ceilings and antiques displayed throughout. Outside, the region's beauty is evident in the lush gardens, filled with Mediterranean plants, citrus and olive groves. A quick elevator ride sweeps guests from the port directly to the hotel, a cool touch Wilde and Wagner could only have dreamed of. Take in panoramic views of Sorrento Bay while sampling impeccable Neapolitan fare made with local delicacies and produce from the hotel’s garden. Perched atop a cliff in Sorrento overlooking the Gulf of Naples and Mount Vesuvius, the hotel is just 25 minutes from Capri and 30 from Positano. Set amid lush vegetation in a renovated 19th century greenhouse, the Boutique Spa La Serra’s treatment rooms each have Jacuzzi tubs and private gardens. Ivy crawls on the walls of the restaurant’s shaded terrace in the town center. Order the tagliolini with prawns, spinach and lampfish caviar. (39-8) 18-07-10-82; www.lanticatrattoria.com. Spend a day (or more) exploring the legendary resort town or sail around the entire island with the reputable company, Sercomar. (39-81) 83-78-781; www.caprisub.com. More appealing to shoppers than adventurers, Sorrento’s main thoroughfare closes to traffic most evenings. Set aside an hour or two to admire its pastel-hued buildings and dip into its small shops. Il Buco—a Michelin-starred restaurant in the center of town—serves inventive Mediterranean dishes in a vaulted brick dining room. (39-8) 18-78-23-54; www.ilbucoristorante.it. Design buffs will love this inlaid furniture collection, which includes pieces that run from the 19th century to today. Also on view: etchings, paintings and photos by local artists and craftspeople. (39-5) 22-65-80-11; www.bardinipeyron.it. Romanesque, Gothic and Baroque are just a few of the architectural styles evident in the beautiful stonework of this arched cloister. Classical music concerts are held here during the summer. Located off Piazza Sant’Antonio. Just outside town, in a valley carved by an ancient volcano, sits a long-abandoned wheat mill made of stone. It’s an enchanting sight so remember to bring your camera. Shop along Corso Italia instead of the open-air market that’s held every Tuesday morning on Via San Renato—it's crowded and knockoffs are sometimes presented as the real thing. 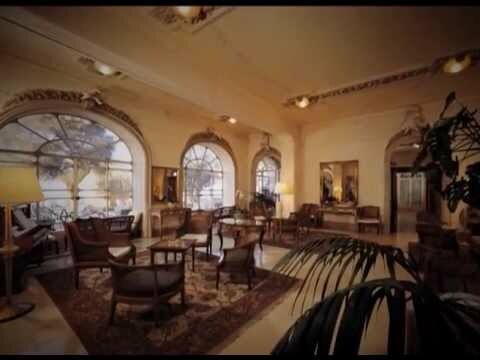 Owner Information: Grande Albergo Excelsior Vittoria S.p.A.